It’s September 2018. Christmas season has started. Jose Mari Chan fever is scorching. And NBA training camp is about to start. That means that we’re literally six weeks away from the start of our second-favorite—Christmas season is undefeated!—season of the year, the NBA season. 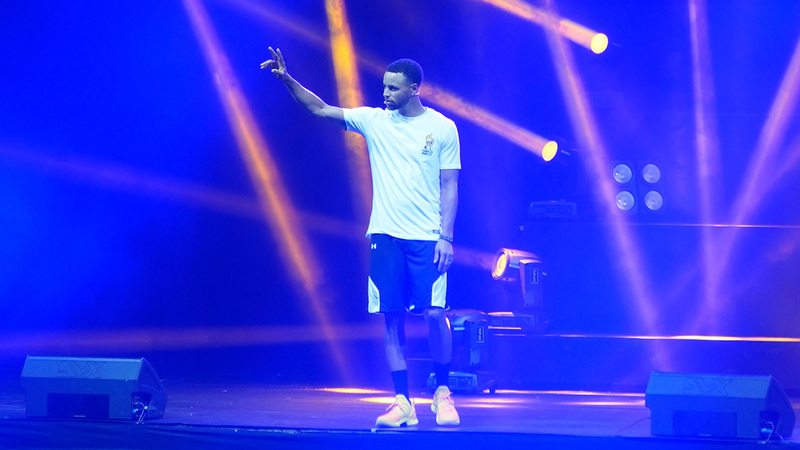 A lot of things have happened since the Golden State Warriors romped their way to their third championship in four years. Superstar players got traded. Star players got traded. A new batch of rookies is coming. And there’s also that guy, LeBron James, who’s now a Los Angeles Laker. Yep. The topography of the NBA has changed. In light of all these, there are a lot of questions to ask ahead of the start of NBA training camp. We’ll take a gander at some of the most prevalent ones and see if we can play Nostradamus with them. When you have someone like LeBron James on your team, you can automatically pencil in a trip to the postseason. This current Lakers team is made up of James, a group of talented young players, and a hodgepodge of veterans with more collective baggage in them than a plane full of balikbayans. It’s an interesting mix, to say the least, but the ultimate trump card remains No. 23. On his own, he’s good enough to carry a team to the playoffs. The real question is how much help is he going to get, specifically from guys like Brandon Ingram, Kyle Kuzma, Lonzo Ball, and Josh Hart? Common sense dictates that the Young Lakers will need a long time to get used to playing with a force of personality like James. There will be growing pains along the way, but there’s something intriguing about the potential of this team, especially if LeBron can elevate the games of Ingram, Kuzma, Ball, and Hart. Best catch those no-look passes, then, Young Lakers. Their respective developments will ultimately dictate how deep LeBron can take the Lakers to the playoffs. Is Carmelo Anthony a good fit with the Houston Rockets? It’s hard to picture Carmelo Anthony being any better with the Houston Rockets than he was with the Oklahoma City Thunder. Maybe having James Harden and Chris Paul—CP3, especially—feeding him the ball will restore his scoring potency. Maybe Melo just had a really bad year last season. Maybe he’s due for a bounce back. All these scenarios are possible with a scorer like Melo, but that’s still a lot of “maybes” for a guy who looked like a shell of himself on a team that gave him more than enough chances to assert himself on offense. Now he’s going to a team that relies heavily on isolation basketball and pick and rolls. Maybe there’s a scenario where the Rockets can create a different isolation environment that will feature Melo on the block. But doing so means that neither Harden nor CP3 will not only have the ball, but they’ll also be standing on the weak side of the court with nothing else to do than wait for Melo to jab step his way to oblivion. It’s a splashy name to add on a team that felt like it was a Chris Paul hamstring injury away from winning last year’s title. But at the end of the day, it’s hard to think of Carmelo Anthony as the player he once was. And even if Melo does have a bounce-back year from an offensive standpoint, he’s not replacing the defensive acumen that Trevor Ariza and Luc Mbah a Moute left behind. Are the Oklahoma City Thunder primed to make a deep run? The Oklahoma City Thunder proved two things last season. One, that Russell Westbrook and Paul George can thrive playing off of each other. It was nothing short of a revelation. Sure, Westbrook still had his “me-against-the-world” moments, but he also ceded the offense to PG13 in ways he never did with anyone other than Kevin Durant. If your two best players are in sync on the court, that’s a huge bonus. The other thing OKC proved last season was that their weak bench undid any success Westbrook and George had together. Here’s the good news: Russ and Paul are back for their second-year run. Here’s the better news: They’re now one of the deepest teams in the league, all thanks to a number of “addition-by-subtraction” moves GM Sam Presti pulled off in the offseason. The departure of Carmelo Anthony and the arrivals of Dennis Schroder and Nerlens Noel have made the Thunder deeper and more talented. Whether that’s going to translate to a lot of wins in the regular season remains to be seen, but make no mistake: the Thunder are a lot more difficult to beat now. 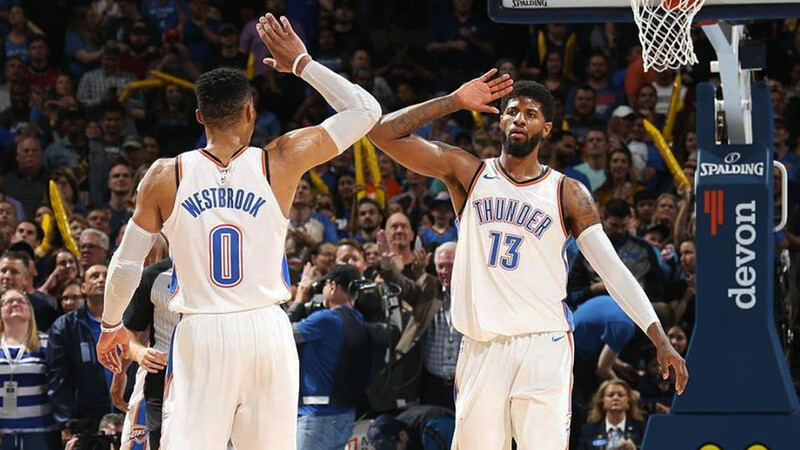 If the team can coalesce into a well-run unit with a clear hierarchy and defined roles for everyone, don’t be surprised if OKC’s the one throwing haymakers at Golden State in the Western Conference Finals. Are the Boston Celtics too loaded for their own good? It’s a fair question given that the core of the Boston Celtics are made up of players who play most of the same positions. Kyrie Irving is the unquestioned go-to-guy, but Terry Rozier made a strong case for more minutes last season in Irving’s absence. Marcus Smart and Jaylen Brown will likely compete for minutes and the same can be said for Jayson Tatum and Gordon Hayward. Granted, there are ways to maximize wing-heavy lineups in today’s NBA, but can the Celtics do it and still live up to the hype of being championship contenders. Head coach Brad Stevens is arguably one of the best coaches in the NBA today so he’ll find a way to make it work. Still, it’s hard not to drop the question entirely. The Boston Celtics are a loaded team with young stars-in-the-making, established stars in their prime, and a bona fide superstar in Irving. It probably would’ve been better, though, if they didn’t play the same positions, right? Can the Warriors sustain their dominance? On the surface, it’s an easy answer. It’s so easy that the question itself appears sacrilegious. Are we really questioning a team that has won three of the last four NBA titles, has two MVP-caliber players, a do-it-all defensive ace, one of the greatest shooters in NBA history, and just signed arguably the best big man in the league today? Don’t sleep with the lions yet, though. Every season is different. Different narratives are created, some organically, some manufactured. The Warriors will be at the epicenter of a lot of narratives, and they just brought in one of the most volatile players the league has seen in a while in DeMarcus Cousins. A lot of things can go wrong with this team, and one controversy could ignite a firestorm that we haven’t seen in the Bay since this championship run started. Then again, who are we kidding, really? The Golden State Warriors are the Golden State Warriors. They’ve won three of the last four titles and they’re the overwhelming favorites to make it four out of five. Only something as catastrophic as long-term injuries to their stars at the same time can derail this coalescing dynasty. Who’s more likely to win MVP this year: Anthony Davis or Giannis Antetokounmpo? LeBron James is the favorite to win the MVP this season at 3/1 odds, but at this point, it looks like James’ stature as the best player of this generation has rendered his MVP candidacy irrelevant. Nobody’s going to care about James winning MVP because the award is beneath his stature now. The next two favorites on the board are Anthony Davis and Giannis Antetokounmpo with 4/1 and 5/1 odds, respectively. The Greek Freak makes a compelling case, especially if he elevates his game to another level and leads the Milwaukee Bucks to at least a Top 3 seed in the East. But the absence of parity in the conference could work against his candidacy. The Brow, on the other hand, remains in a loaded Western Conference that just got more competitive with LeBron now in Los Angeles. If Davis can parlay his torrid performance in the second half of last season and lead the New Orléans Pelicans to a top-four seed in the West, this will be his award to lose. Who’s poised for a bigger sophomore season: Ben Simmons or Donovan Mitchell? It’s a tough question to ask without a little perspective on our expectations from the two. For Ben Simmons, it’s all about improving his jump shot..from any distance. It was his most glaring weakness—and only weakness at that—last season, and even with the obvious scouting report, teams still had a lot of trouble containing his imprint on the game. If he can improve his shooting even just an iota, it could make the difference between teams subconsciously sagging off of him or at least thinking about it. If the latter scenario plays out, look out. For Donovan Mitchell, it’s elevating his playmaking ability. He’s already proven himself to be a lethal scorer from anywhere on the court. That explosive scoring ability is going to invite a lot of traps and double teams, forcing him to make plays for his teammates. Mitchell is nowhere near the facilitator that Simmons is so it’s going to be very interesting how he handles being the focal point of the other team’s game plan. Picking between the two, it’s far more likely that Mitchell becomes a better playmaker than Simmons becoming a better shooter. At the very least, Mitchell has already shown flashes of his playmaking ability whereas Simmons’ outside shot is still a work-in-progress, at best. Will Kawhi Leonard be a good fit with the Toronto Raptors? It all depends on which Kawhi Leonard shows up. If it’s the Kawhi that earned the status as a top-five player in the NBA, he’s going to be a massive upgrade over DeMar Derozan. He can do everything Derozan does and is a lot better in a lot of those things that Derozan does. But a lot has changed in Leonard’s life in the past year. For obvious reasons, his fit in Toronto is a fair question to ask, especially if the buzzing bees surrounding his rumored desire to go to LA next season persists throughout the season to the point that it becomes a huge distraction for the team. If the latter scenario plays out—don’t bet against it—Kawhi’s tenure in the North could end before it even begins.